"It takes a village to raise a child." This African proverb rings louder for children with autism. The Autism Society Philippines believes that parents should build relationships with a professional compassionate support team who can advise and counsel them, in addressing the myriad of questions they have about raising a child on the spectrum. "If you have met someone with autism, you have met ONE person with autism." There is no substitute for personal consultations with professionals, which consider traits and behaviors unique to the individual with autism. As ASP continues to receive questions from parents and family members year-round, we have reached out to the following experts to help answer some concerns on health, education and intervention. It would be important to discuss the developmental assessment results with your chosen professional. This discussion should include an understanding of the skills of your son in the different domains. What is his prognosis given these findings? What would be the best approach to help him? I think it is necessary to trust your doctor and listen to what he or she has to say. My son Ken is 12 years old. Lately, napapansin ko po ang malimit niyang pag-blink ng eyes. Kagabi, yung movement ng arms niya na parang di niya makontrol ang pagpalo sa face niya. Ticks po ba yun? May autism po sya. Anu po ang mga dapat kong gawin? -Noreelyn P.
It is hard to gauge unless you can document this using a video clip to show your doctor. Kindly indicate the events prior to these observations. My son was diagnosed with ADHD, but I have observed that he also has signs of ASD, like tip toeing and has silly talk most of the time,and doesn't complete tasks most of the time. Should I be disturbed with his behavior? -Carmel C.
It would be a good idea to go back to your doctor with these concerns . Please try to document these episodes using a short clip and show this to your clinician. My son was diagnosed with global delay when he was 4yrs old. No follow up professional check up since then. He was able to attend school but has stopped due to financial constraints. Aside from being non verbal we think he's just fine no disturbing problem at all. We know we should be sending him to school but no decent one can be found in our area. Are we doing the right thing? Not sending him to school? Is it a must to consult a speech therapist? -Jhoana E.
Perhaps it would be a good time to have a new consultation. Global developmental delay usually evolves into a more specific diagnosis. Having a comprehensive evaluation will make this provisional diagnosis of global delay a more specific one. This will lead to more appropriate recommendations and plans. What therapies or options do you recommend for very low functioning adolescents (non verbal) who have gone through years of ABA, OT and therapy? -Antonette R.
May I ask what your goals are? It is possible that this is a good time to stop and look for more appropriate programs now that your son/ daughter is an adolescent. Needs change as the person with autism ages and this period can bring challenges or settle issues. I wonder if there's a public clinic for autism?, my nephew needs to reassess by a doctor before he can enroll to SPED. -Reynaldo F.
Yes, you can access our free services at the Philippine General Hospital. Kindly inquire from the Section of Developmental Pediatrics regarding the available schedules at our outpatient clinic. Have you heard about the success of kids with autism who were given Reliv's NOW milk supplement? Would you recommend this? -Leah V.
I have heard of Reliv but I am not too familiar with the evidence that it has shown any specific advantage for autism. That being said, good nutrition is always beneficial for development. I have a son who is turning 4 on Aug 16. He had an EEG at St. Luke's for 15 minute interval awake-asleep. Results say that there is a spike on the result of his EEG. I was told by my son's developemental pedia to go to Dr.(witheld). When I went there, he said that the result are normal and wanted another 6 hour video EEG. wouldn't his EEG at St. Luke's suffice? He is taking OT thrice a week for a year already. He has improved with eye contact and with interest in people. He is malambing. He smiles at me when I call him and sort of talks to me; but he still couldn't speak. He will join a toddler school and I just want to ask if it is better to observe him first if he improves in the toddler school before we go through that 6-hour EEG. -Hazel P.
Your pediatric neurologist is an esteemed colleague who will understand if you want to wait before undergoing another procedure. If your son is doing well and has not displayed any additional inappropriate behaviors, additional investigations may not be helpful at this time. I had my child checked by two different developmental pediatrician. One diagnosed him with ASD and the other says if it weren't for that initial diagnosis, she wouldn't diagnosed ASD for my son. Now, I'm confused. -Elaine B. It would be difficult to give you the best advice for that question; but I believe that many parents go through a process and intuitively know who to trust. Will it help if you review your concerns with the first developmental pediatrician? 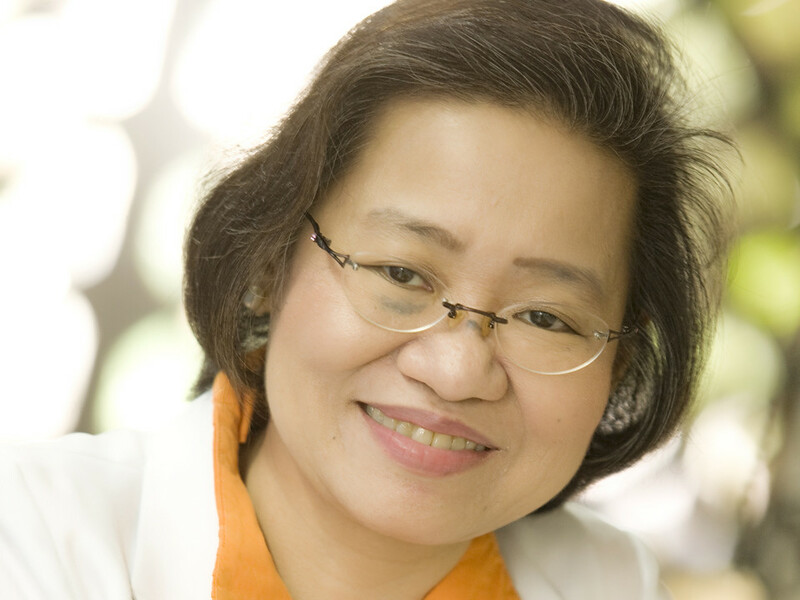 Dr. Alexis Socorro L. Reyes is recognized as one of the leading developmental pediatricians in the Philippines. She concurrently concurrently heads the Developmental Pediatrics Section and the Atty. Jose Miguel Arroyo Developmental and Behavioral Studies Unit of the Section of Pediatrics of the UP-PGH. She is an Associate Professor of the Department of Pediatrics at the UP College of Medicine and is a Special Lecturer at the Department of Pediatrics of the Ateneo School of Medicine and Public Health and UP College of Allied Medical Professions.